As part of celebrating Youth month, it's opportune to pause and recognise young South Africans who are making their mark on the world. While they're excellent role models for all of us, we've chosen most of them, especially for their entrepreneurial characteristics. Starting businesses is one of the most important things that we need to do in this country, both to stimulate economic growth and to create jobs. 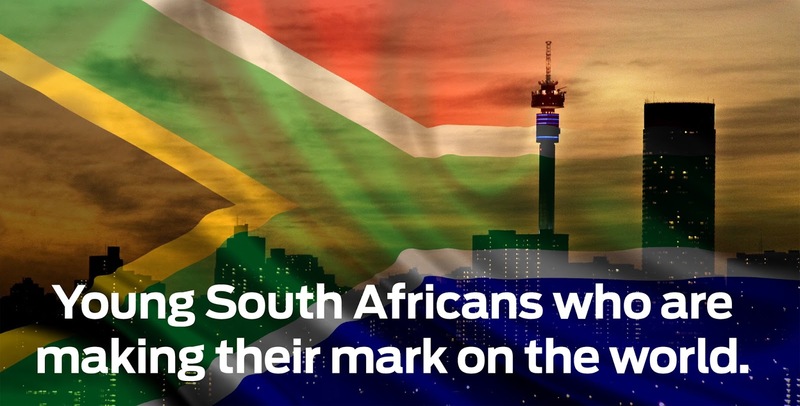 So let's look at a few South Africans who have shown special entrepreneurial flair and achieved international success. Then as a bonus, there's an inspirational sports story. Vinny Lingham worked for a few companies in Johannesburg before getting the idea of starting his own business to provide digital gift cards for corporates and other organisations. He named his company Gyft. Gyft grew to be so successful that it made a serious impression internationally, leading to Lingham selling it to the largest credit card processing company in the USA, First Data, apparently making him a millionaire in the process. As usual, his wasn't an overnight success. He had previously founded and run a website building company, Yola, and a search engine optimisation company, Clicks2Customers. Khanyi Dhlomo began a career in the media industry when she was 20 years old and since then has built a media company that has seen her recognised by Forbes magazine as one of Africa's most successful women. She was an early developer, becoming editor of True Love magazine at the age of only 22. After several successful years in this position, she spent some time overseas, working and studying. She returned to South Africa armed with an MBA and some strong ideas. She founded Ndalo Media, which now publishes the enormously successful magazines, Destiny and Destiny Man. Bheki Kunene's story can certainly serve as an inspiration for all of us, which you'll soon see when you read what he has had to overcome. All of us appreciate the trials and tribulations we will have to go through when we start a business, but Kunene has had more than his fair share of adversity. Shortly after founding Mind Trix Media, Kunene was falsely accused of murder and had to spend a week in police custody before being released - with an apology, at least. Undeterred he continued to build his business, before another disaster struck, in the form a fast-moving car that fractured his skull. With characteristic determination, Kunene has bounced back from this setback as well, and his company has flourished. It now deals with large corporations all over the globe, from Africa to Europe and Asia. Gift's story is a true fairy tale. Born and raised in a sports clubhouse in Randburg, Johannesburg, he is now poised to enter the very highest level of baseball in the USA - the Major League, what the Americans call "The Show". To South Africans raised on a diet of soccer, cricket, and rugby, this might not seem like a big deal, but consider this: last year over 72-million people physically attended baseball games in the US. On any given Saturday, more than 2-million people watch Major League baseball on TV. Baseball was the sport played at his clubhouse, so Gift began playing when he was very young. He was chosen to play for South Africa at the World Championships and earned a place at an academy in Italy. Here he was noticed by a representative of the Pittsburgh Pirates, a Major League team. He signed a professional contract and has spent the last few years playing in lower leagues. The exciting news is that Gift has now made his way close to the top and has been selected to the Major League squad. If he is selected for the team itself he will become the first black African to play Major League baseball in the USA.